Stay tuned to book your spot at this awesome event – more details coming soon! 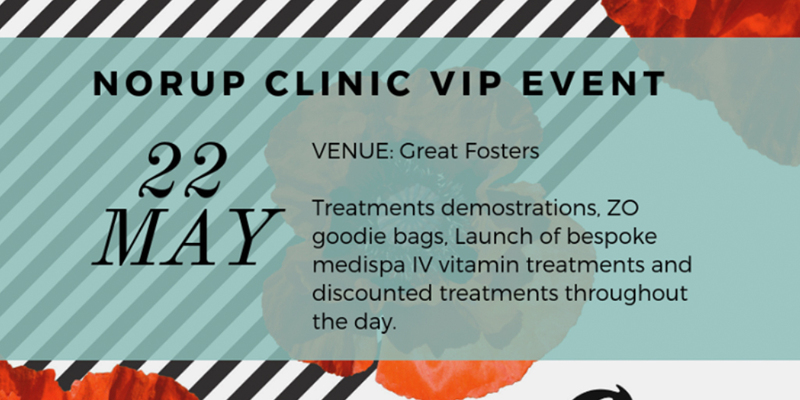 The event will centre around the latest developments in skincare featuring the renowned ZO Skin Health range. Including case studies, free consultations and advice, plus receive a 20% off products on the day. 20% discount on all bookings taken for the treatments demonstrated. (Payment required in advance to secure this discount). Bring a friend and receive a voucher of equal value to any treatments your friend books*. Plus, your friend will get a FREE initial consultation and 20% discount on any further treatments booked during her visit. Call us on 01372 465 277 to make your reservation or if you have any questions.